What is the importance of having a Will? Why doesn’t everyone with no equity in their homes do a short sale? 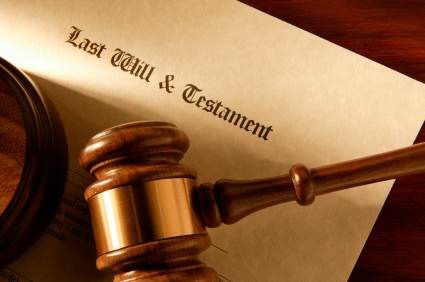 A will is a very important document to have. If you die without a will, the State of New York will determine who administers your estate and to who your property will pass to. If you are married and have children, you might be surprised to know that without a will your property will not automatically go to your spouse. Intestacy laws state that your spouse will receive the first $50,000.00 of your estate and the balance will be split between your spouse and your children. If your children are minors (under the age of 18), the court may determine who handles the affairs on behalf of your children. If you have recently purchased a home, you should consult with an attorney to make sure your intentions will be carried out in the event of your passing. If you are interested in a free consultation to discuss the preparation of your Last Will & Testament, please do not hesitate in emailing or contacting (718) 377-7798 to speak with Michael Reinhardt. The use of the Internet or this forum for communication with the firm or any individual member of the firm does not establish an attorney-client relationship. Confidential or time-sensitive information should not be sent through this forum. This information is for general information only and should not be relied upon without consulting with an attorney. Copyright Michael S. Reinhardt | All Rights Reserved.